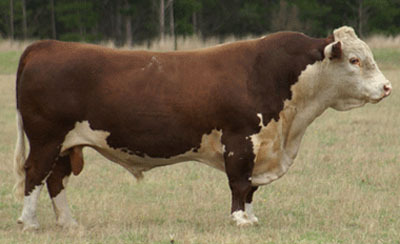 This son of Yallaroo Titan T011 was admired by visitors to Mawarra for his great length, structural soundness, muscling and cosmetics. Note his EBV curve. His EBV’s are in the top 1% of the breed for IMF, 5% for Bwt, Milk, EMA, RBY & GN, 10% for SM & GS and Top 15% for Rib. His 13 sons have sold to $8,500 and his daughters have sold to $4,000.